Nissan North America, Inc. (NNA) today reported April U.S. sales of 71,526 units versus 63,769 units a year earlier, an increase of 12.2 percent. Nissan Division sales were up 14.5 percent for the month at 64,765 units. Sales of Infiniti vehicles decreased 6.2 percent from the prior year, to 6,761 units. For 2011, NNA sales have increased 22.2 percent to 356,884 units. Nissan Division deliveries are up 23.4 percent to 322,287. Infiniti sales have increased 11.9 percent to 34,597 units. * Nissan vehicles posted April sales of 64,765 units, an increase of 14.5 percent over 56,558 units sold in April 2010. * In 2011, Nissan sales are up 23.4 percent to 322,287 units. * Nissan Rogue set an April record, with sales of 8,432 units up 28.1 percent over the prior year. * Nissan Sentra sales increased 42.2 percent over last year, with sales of 9,367 units. 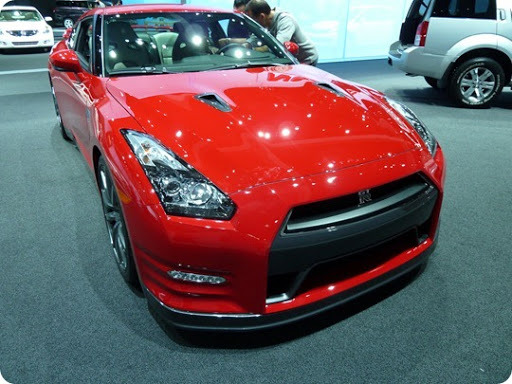 * Nissan GT-R sales increased 143.4 percent to 258 units, setting a new April record. * Nissan LEAF all-electric vehicle posted sales of 573 units, for a total of 1,044 units in the United States since its December launch. * Infiniti today reported sales of 6,761 units in April, down 6.2 percent versus 7,211 units a year earlier. * The Infiniti QX had sales of 976 units, an increase of 73.7 percent over prior year, marking the full-size luxury SUV’s best April since 2005. * The Infiniti G Sedan had sales of 2,588 units in April, pushing its year-to-date sales up 21.1 percent. * With sales of 1,267, the Infiniti G Coupe had a slight increase over the prior year. * For 2011, Infiniti has delivered 34,597 vehicles, an increase of 11.9 percent over the prior year. NOTE: To ensure consistency in global sales reporting, Nissan North America calculates monthly variances on a straight-percentage basis, unadjusted for the number of selling days. April 2011 had 27 selling days, while April 2010 had 26 selling days. In North America, Nissan's operations include automotive styling, engineering, consumer and corporate financing, sales and marketing, distribution and manufacturing. Nissan is dedicated to improving the environment under the Nissan Green Program 2010 and has been recognized as a 2010 ENERGY STAR® Partner of the Year by the U.S Environmental Protection Agency. More information on Nissan in North America, the Nissan LEAF and zero emissions can be found at www.nissanusa.com.